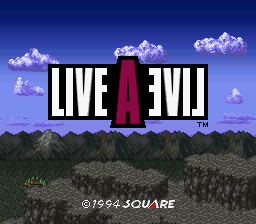 Live A Live is an odd sort of game. At base, it’s an RPG. 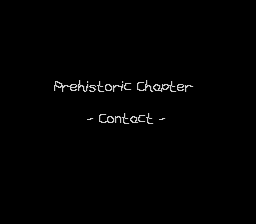 What makes it different is it’s separated into chapters. One has you playing as a cowboy, another as ninja, a third as martial arts master and his disciples. All the chapters are quite different. The ninja chapter, for instance, involves being a stealthy sneak and assissinating your rival without killing anyone else, or being a killing machine and cutting a swath through all the guards. The wrestler’s chapter plays almost like a fighting game, as he faces off against his opponents one-on-one until he is the champ. All the characters join up at the end for the final chapter. 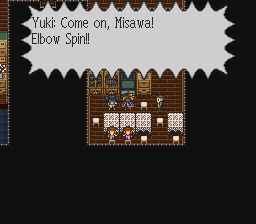 I know, it sounds like Saga Frontier, but trust me, this game is actually good. We have all of the issues worked out (we hope!) It’s gone through a few rigorous testing cycles, which continue even as I write this. The end result is a patch that blows everything else out of the water. This is very likely Aeon Genesis’s definitive work, exceeding possibly even Rudra in its grandeur. 560 kilobytes of English script: Twice the size of the original translation! 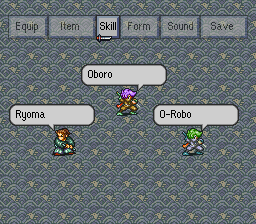 Main dialogue, menu, and battle fonts are now fully proportional! Each chapter now has its own unique font - even the Japanese version can’t say this! Live-A-Live now sports a total of ten different fonts. Kung Fu names are now Chinese, not Japanese! Items, techniques, and equipment names expanded dramatically due to new fonts!